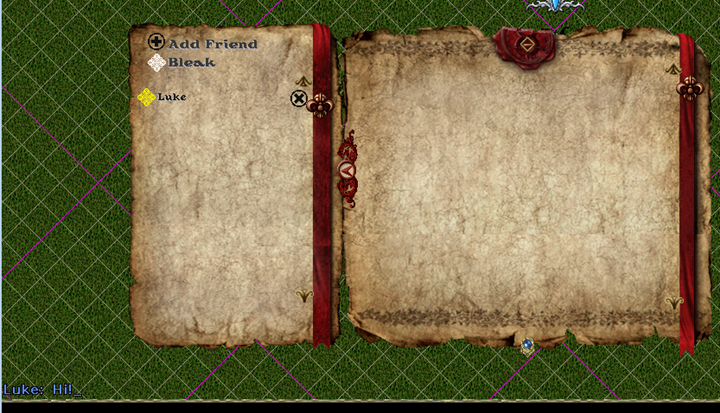 This feature allows players to communicate across shards to any player on their friends list. Access to this feature can be found on the menu bar in the Classic Client or on default hotbar in the Enhanced Client. Add Friends – Players can request friends by targeting them in game and confirming the request. The friend display name will always be the name of the character that created the friendship. Characters have a context menu option to refuse friend requests. Players can have up to 50 friends at a time. There is a 30 second delay between sending friend requests. 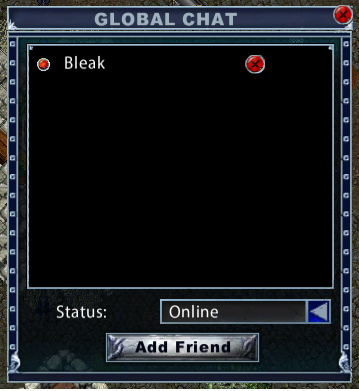 Remove Friends – Players can remove friendships at any time while Global Chat is online. Message Friends – Players can message any friend whose status is set to online. 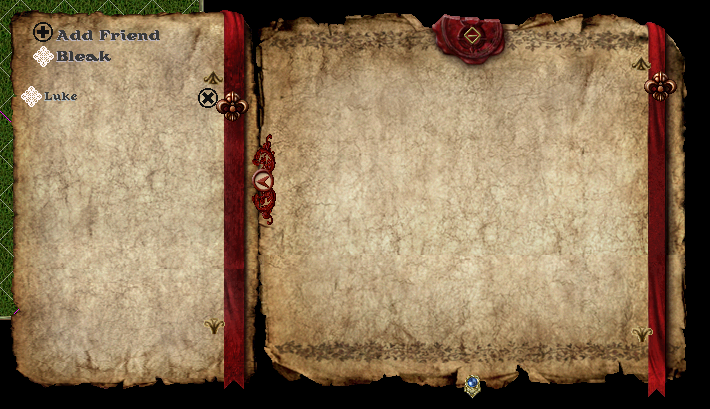 Update Player Status – Player characters can toggle their online status which will be saved on the character. Receive Friends Status Updates – Players only get friend status updates while they’re online. To message another player, you must select the symbol by their name. The selected player will be indicated by the updated yellow color. If a player is online their symbol will be white and the symbol will be black when offline. Pressing the “ ’ “ key then Space will allow you to respond to the selected player. To message another player, you must select their name in the chat window drop down or in the global chat window. The selected player will be indicated by the updated white name color. If a player is online their symbol will be green and the symbol will be red when offline. Players can also use the shortcut “/x” in the chat window to message the currently selected player.